Growing up in a small undeveloped coastal community of Ormond By The Sea, I remember playing in the seaside maritime hammocks next to the ocean. This natural world allured me and when our small gang of friends weren’t surfing or fishing you would always find us exploring these wild places. It felt like only us and the Native Americans knew about these mysterious woods as we were greeted by a thick dense canopy of sand live oaks and red bay trees with their gnarled and twisted tree trunks. The under-forest was speckled with plantings of silver saw palmettos in between these bands of tree trunks which only allowed us to see 20 feet ahead of our feet. My imagination ran wild about what awaited us behind the blinds of palm fronds. We were adept at climbing these trees and no tree was better for climbing than the wild Southern Magnolia trees with their stair stepped branches. We would climb as high as we possibly could with the branches getting thinner and weaker as we gained height in the tree’s canopy. With the seaside winds swaying the treetops our crow’s nest felt less safe and we would stop and look around knowing we should go no higher. Seeing the Fragrant White Flowers laying on the verdant green branches is a sure sign that spring has arrived and summer is near. The Magnolia Trees will announce the arrival of their blooms with tight buds wrapped with a fuzzy, velvet like protective sheath. As the temperatures warm and the days lengthen the buds will slowly open exposing one of the most amazing, creamy white flowers that will captivate your thoughts. 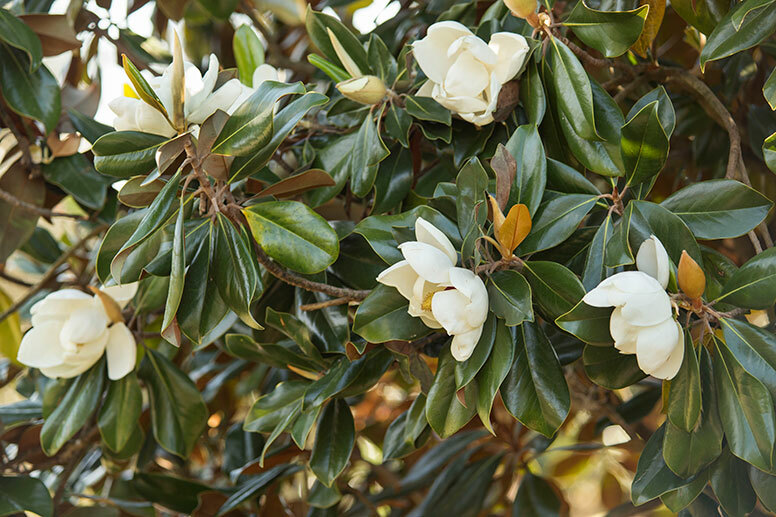 With a sweet lemon-lime like fragrance these dinner-plate sized flowers will beckon you to plant more Southern Magnolia Trees! The beautiful white magnolia flowers are pollinated by honey bees, butterflies and many types of night loving beetles! Yes…these beetles thrive at night in the magnolia flowers carrying pollen to the stigma of the magnolia flower. Through this process the magnolia pods form and during the following September red magnolia seeds emerge from the pod. 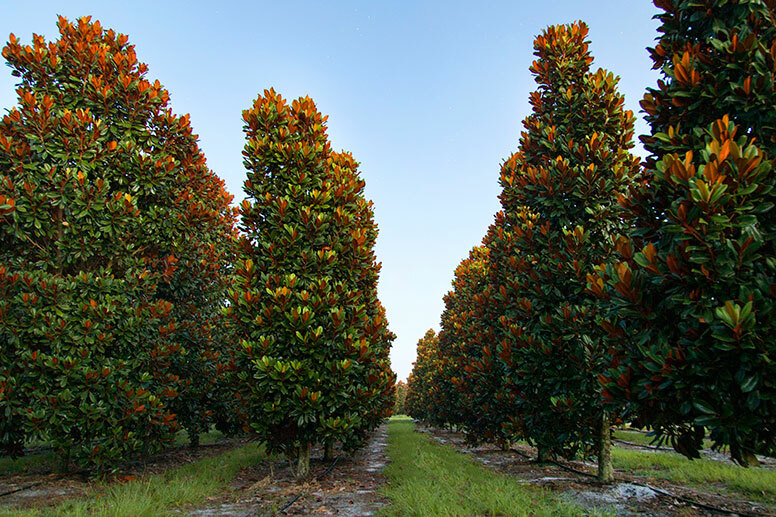 The seeds of the magnolia tree are high in fat and a source of nutrition for our wildlife. One of my favorites are the migrating songbirds which will stop and feast on these brilliant red colored seeds before continuing their journey south. Southern Magnolias can make great container plants for the front or back porch! 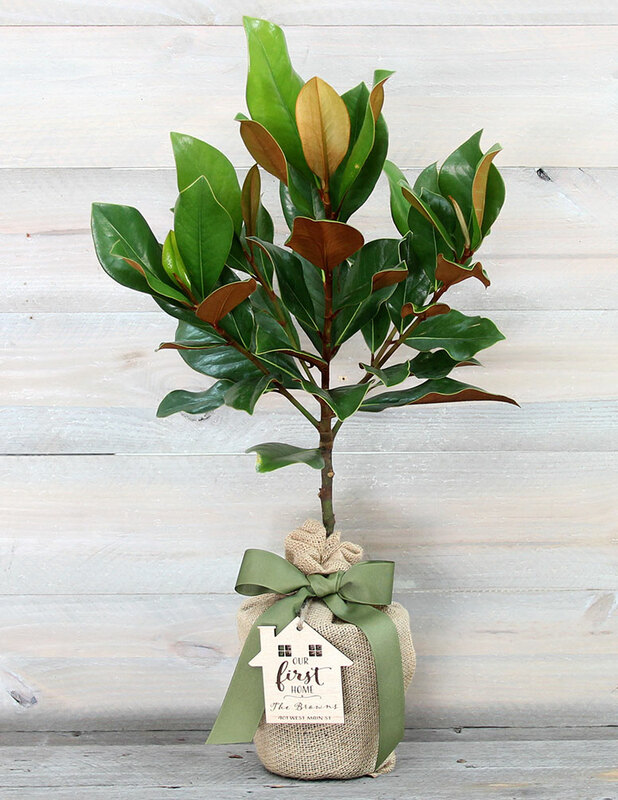 By planting these trees in a larger container and keeping the root-ball moist, these small magnolia trees can be growing in such a fashion for many years. Plant your magnolia tree in general tree and shrub potting soil and apply a general tree and shrub fertilizer once per year. I like to use a slow release fertilizer applied in by the middle of March. But if you miss that date, do not worry you can apply this fertilizer at any time in the year. If your tree is getting too tall in the container, just take a pair of pruners and cut back your tree, keeping a center leader in the tree top. We have many of our clients send us pictures of their trees, because they are so proud of its growth. If you have one you would like to share please send it to us with any questions you might have. Please email it to Trees@themagnoliacompany.com and we will be sure to get back in touch! Have a happy magnolia planting season! Celebrate Mothers and all the Women in Your Life! The Magnolia Company, All Rights Reserved.